Sameer Dhanrajani is a distinguished and widely recognized analytics and data sciences thought leader and visionary known for his deep knowledge, innovation & topical approaches in the analytics and data science space. Sameer is the Chief Strategy Officer at Fractal Analytics. He drives strategic investments and inorganic growth, leads high priority growth initiatives and help clients on AI-led transformation of their businesses. He is an analytics and AI Evangelist for Fortune 500 companies and has won multiple industry awards as a top business leader in the analytics industry. Prior to to joining Fractal, Sameer held leadership positions at Cognizant Technology Solutions as Global Business Leader for Cognizant Analytics and Data Sciences. 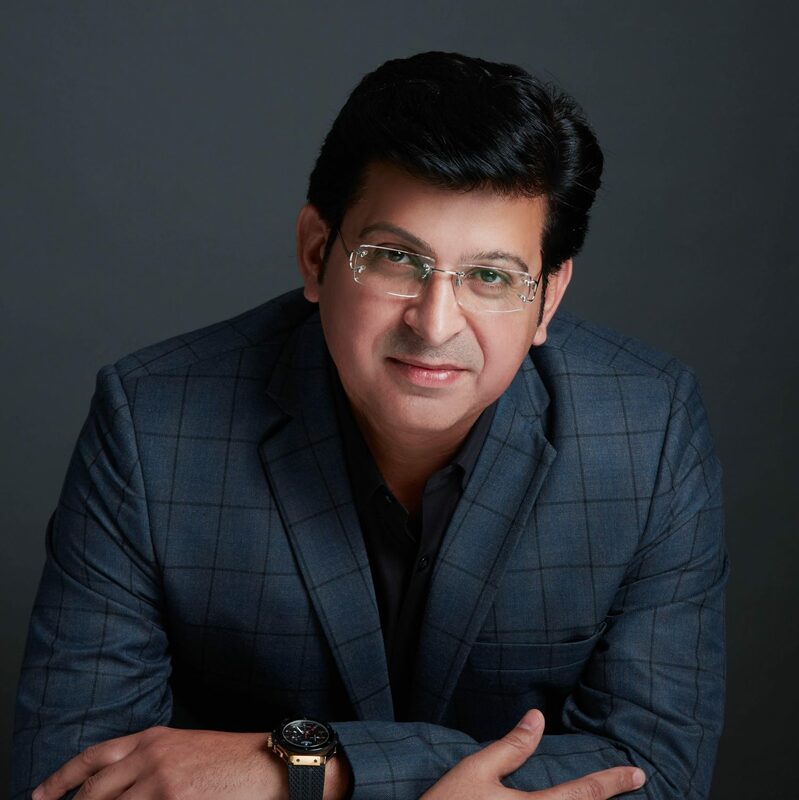 He pioneered the Customer, Risk & Operations Analytics framework (CRO) at cognizant analytics to help clients realize transformative value from data detonation encircling enterprises and enable accelerated business impact through accentuated customer experience, robust risk management strategies and optimized business operations. Under his able leadership, Cognizant Analytics attained market leadership and got recognition as a leading player in the analytics and data sciences market space with an exemplary broad-based structure and an exhaustive repertoire of services framework, consulting methodologies, solutions and platforms spanning the advanced analytics & data sciences spectrum serving multiple clients across industries. As an accomplished professional, Sameer provided the pivotal strategic direction and execution led insights to galvanize Cognizant Analytics run better & run different. He helped practice grow considerably with a domain-led analytics consulting framework, seasoned pool of data scientists and a diverse portfolio of IP-based non-linear solutions and business accelerators targeting key analytics interventions across the value chain of multiple industries. A fast tracker & a well-rounded professional with over 20 years of industry experience, Sameer has donned various leadership roles to help deliver innovative analytics solutions to clients for faster, better decision making. Prior to Cognizant, Sameer was the Country Head for Fidelity National Financial and pioneered India’s first captive to be based on non-linear growth model with platform-based value propositions and developed Fidelity India into a hub of customer delight, delivery innovation, and operational dexterity.Before Fidelity, he worked as Vice President – Analytics for Genpact. Sameer is a distinguished member of the NASSCOM Analytics Special Interest Group, CII knowledge roundtable, ASSOCHAM digital council and has been instrumental in leading the effort for positioning India as the next best destination of choice for analytics and data science. He has been recipient of “Outstanding Leadership Award” at India Human Capital Summit and “Exemplary Leader Award” during the Asia Pacific HRM Congress. He has been highlighted four times consecutively (2014-2017) in “Top 10 influential analytics leaders list” published by Analytics India magazine. Sameer is also adviser to Telengana and Andhra Pradesh Government council for setting up data analytics park and policy in Hyderabad and Vizag. Sameer is also a well-renowned speaker and has been a key note speaker & moderator on various business, leadership and topical analytics themes at leading conferences/events/seminars including NASSCOM Analytics and Big Data Summit, ISB Digital Summit, ET summit, CeBIT etc. He has been quoted regularly across multiple business media and news publications. Sameer is a prolific blogger and his blog post “Demystifying digital, data analytics and decision science” is a trendsetter; he is a well-known contributor in the academia space. He has delivered numerous industry guest lectures and mentored several fresh & experienced graduates on making a successful career in Analytics. He is a trusted industry adviser and council member to leading Business & Technology Schools – ISB , Shiv Nadar , Upgrad, Manipal Education etc. He is the first analytics professional in India to deliver TED Talk.